Writing a personal narrative essay is a special kind of task that does not strictly need any academic analysis or research. Instead it requires a descriptive form of writing with the purpose of creating particular emotions for the readers. A personal narrative essay is intended to have commentary with the basis of understanding someone's past and life experiences. Personal narratives essentially tell the writer’s own story. In this field of essay writing, an author relates his or her experiences to the reader in the expectation of holding the reader’s attention and possibly even to teach them some life lessons, or help them gain an insight into how another human perceives the world around them. In common with some movies or theatre where there is a narrator who relates the story, describing particular actions and explaining the emotions that the characters go through over the course of the story, so too in this essay format does this process take place. He/she is the narrator of their own story, which will contain events based on personal experiences. Writing narrative essays can be difficult for the writer, and even dull for the reader, if they do not feel like they are immersed in the written experiences that are being related to them, or the meaning of the story. Because a personal narrative paper is supposed to be a non-fictional account of the writer's own life, we generally see it presented in the first person. Thus, the words “I,” “Me,” and “Mine” will be seen dotted around the essay. From an academic perspective, to write this kind of essay will better prepare them for other writing tasks over the course of their studies. For others, it is a way of recounting the personal details of their life, and sharing it with those around them who may share similar experiences. Moreover, they may even profit emotionally from what has been read, as well as be able apply the lessons learned to improve their everyday life. When considering personal narrative essay ideas, you may simply think you should put down a story onto the page, and forget about the usual conventions of academic writing. However, if you think more deeply, you will find out there is a lot to consider concerning the writing of a narrative essay, other than simply imagining the story. There are plot elements, writing styles, action sequences, and many more factors that will be used to judge whether a narrative writing essay gets a good grade or not. When you require a narrative essay example, personal narrative topics, or even someone who will write the whole narrative for you, there is a solution for you in the shape of Marvelousessay.org. Narrative essays written at academic institutions frequently miss many of the important components of what make personal narratives not successful in the eyes of teachers. Of course, they are not to blame for this because students have many subjects and interests to consider (geography, math, physics, art, social science and history to name just a few) that to squeeze in the construction of a good narrative essay can be virtually impossible. 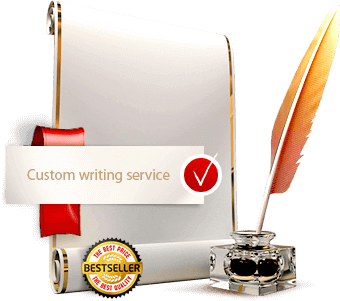 Hence, a large percentage of the writers at Marvelousessay.org are focused on providing narrative essay assistance at a cheap price. Allow them to show you one of their narrative essay examples or originally written content, and you will never look back. We have hundreds of returning students coming to our online services, and it is a trend set to continue! When narrative essays come around, resist the temptation to dismiss them as easy assignments. Teachers will often be looking for a monumental effort when it comes to this kind of task, and they will be on the lookout for basic flaws. Dodge embarrassment and simply give the writers at Marvelousessay.org the pressure of constructing your narrative essays for you. We guarantee that when you give us your assignment, there will be a happy ending to this story, as there always is when you buy from Marvelousessay.org!